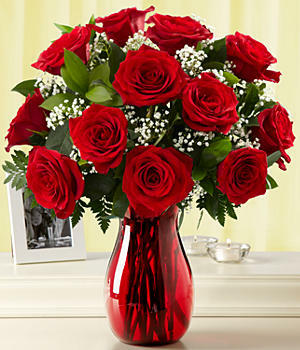 Red roses, of course, stand for love, so they’re especially popular on February 14. Pink can show admiration and appreciation. Yellow roses stand more for friendship and happiness. White exemplifies purity and fresh starts, as well as remembrance. Orange is the color for passion. For more details on rose colors and what they symbolize, you can check out this helpful guide from Pro Flowers.